Wish you Happy New Year 2015 ! ! ! All eligible students of B.E/B.Tech students are informed to register the below link for Job opportunities. You may receive the job post from various companies. Register in the above link before 01.01.2015 and get benefited. The registered students will receive an Invitation mail from M/s Infosys on 08.01.2015 and the students are directed to register in M/s Infosys link (registration procedure is available in Anna University website) and generate Hall Ticket to appear for the Online Test. THE STUDENTS HAVING HARD COPY OF THE HALL TICKET ARE ALONE PERMITTED BY THE M/S INFOSYS LIMITED FOR THE ONLINE TEST. The list of shortlisted candidates by M/s IBM for all three zones (Chennai, Coimbatore & Tirunelveli) for the TNSLPP–IBM process is furnished below (as per the revised eligibility criteria from M/s IBM). Please note that the SHORTLISTED CANDIDATES of all three zones ALONE will be permitted to take part in the TNSLPP IBM selection process. Venue : Agni College of Technology, Thalambur, Navalur (Post), Old Mahabalipuram Road, Chengalpattu Taluk, Chennai - 603 103 . · Minimum 70% marks in current Degree, 10th and 12th standard. · Should be skilled in any one of the Programming languages like(Java,C and C++). · Analyzes user requirements to derive software design and performance requirements. · Designs and codes new software or modifies existing software to add new features. · Debugs existing software and corrects defects. · Integrates existing software into new or modified systems or operating environments. · Consult with customers about software system design and maintenance if required. · Coordinate software system installation and monitor equipment functioning to ensure specifications are met. · Provide assistance to testers and support personnel as needed for trouble shooting configuration or system issues. · Document work done throughout the SDLC cycle. · Updates job knowledge by studying state-of-the-art development tools, programming techniques, and computing equipment. Bond Period: 36 Months from the date of joining. In case of default an amount of INR 3,00,000 in full will be recovered from the employee. Drive Date and City: 2nd Jan 2015, Chennai. Confirm the participation before 01.00 pm today. Contact the TP Cell immediately for more details. Dear KSRCE ites ! ! ! Be ready for the Challenge ! ! ! 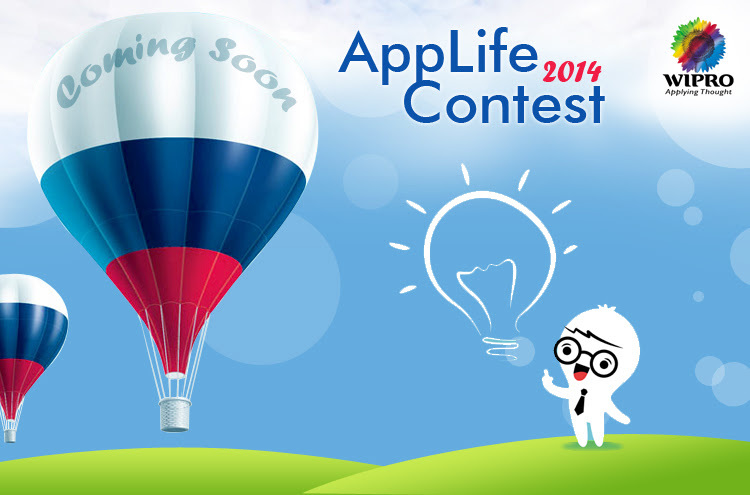 Our Industry Partner M/s Wipro will Announce AppLife Contest soon ! ! ! Interested students are informed to contact the Co-ordinator. We have to send the confirmation by 27.12.2014.